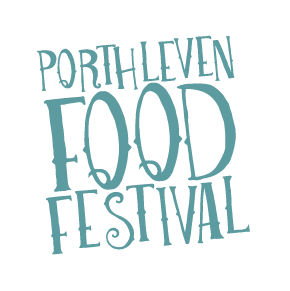 The purchase of this ticket (“the Ticket”) by you (“you or “Your”) from the authorised ticket agent, (“the Ticket Agent”), entitles You to gain entry to the Porthleven Food Festival (“the Event”) staged by ILOW HQ Limited (“the Promoter”) at the venue advertised (“the Venue”). Only customers holding a valid Ticket will be admitted to the Event. Your Ticket may be invalidated if any part of it is removed, altered or defaced. 2. This Ticket is issued subject to the terms and conditions contained herein, as well as those published by the Venue and the Ticket Agent on their respective websites (“the Terms and Conditions”). Purchase of any Ticket constitutes acceptance of these Terms and Conditions on Your behalf and on behalf of any person for whom You are purchasing Tickets. In the event of any inconsistency between these Terms and Conditions and those of the Venue or the Ticket Agent, these terms and conditions stated on this website shall prevail. 3. The Terms and Conditions are subject to change from time to time without notice and in our sole discretion. We will notify You of amendments to the Terms and Conditions by posting them to this website. 4. Upon purchase, please check Tickets carefully as errors cannot always be rectified following purchase. Tickets are not issued on a sale or return basis and refunds will not be made on returned Tickets unless otherwise provided under the Terms and Conditions. 5. The Promoter is not responsible for any Ticket that is lost, stolen or destroyed. You are solely responsible for the safety of Your Ticket. It is not always possible to issue duplicate Tickets. If duplicate Tickets are issued, a reasonable and appropriate administration fee may be charged. 6. Purchase or possession of a Ticket does not confer any rights (by implication or otherwise) on You to use, alter, copy, or otherwise deal with any of the symbols, trademarks, logos and/or intellectual property appearing on the Ticket. 7. Neither the Venue nor the Promoter nor the Ticket Agent shall have any further liability beyond the face value of the Ticket purchased plus the relevant per ticket booking fee. 8. In the event of a cancellation, postponement or Material Alteration of the Event (defined below) You will be entitled to a refund in accordance with the terms and conditions or refund policy of the authorised Ticket Agent from whom You purchased a Ticket. Where the cancellation takes place part-way through an Event, at the discretion of the Promoter, You may only be entitled to a refund of part of the face price which You paid for the Ticket. Personal arrangements including travel, subsistence and accommodation in relation to the Event which have been arranged by You are made at Your own risk and neither the authorised Ticket Agent nor the Promoter will have any liability for any such loss of enjoyment or wasted expenditure. A “Material Alteration” is a change which in our reasonable opinion makes the Event materially different to the Event which purchasers of the Ticket could reasonably expect. Changes to performance times, acts and performers/participants shall not be considered a Material Alteration and the Promoter will not be liable for such changes. A Material Alteration is judged by reference to the nature, form and billing of the Event. The Event is judged and valued by reference to the overall theme rather than any individual act, performer or participant scheduled to appear. No scheduled acts may be considered as headline acts, regardless of their relative fame or prominence in the billing. Hence cancellation by an artist will not entitle You to a refund, regardless of their position on the bill. 9. In the event that You are entitled to a refund, please refer to the terms and conditions of the authorised Ticket Agent from which You purchased Your Ticket for details of how to claim that refund. You may not be entitled to obtain a refund if You fail to follow the instructions provided within the notified timeframes. Refunds will only be made to the person who purchased a Ticket. 10. It is Your responsibility to check that the Event has not been cancelled, rescheduled or made the subject of a Material Alteration. Information on such matters will be made available on behalf of the Promoter as soon as reasonably practicable on the Event website and/or at the Venue. Customers are advised that the website cannot always be updated immediately and that circumstances giving rise to cancellation, postponement or Material Alterations can sometimes arise at late notice or immediately prior to an Event. 11. Tickets will not be refunded where they have been already used to gain entry to the Event, or where You are able to and choose to attend a postponed Event. 12. Tickets are personal revocable licences and shall at all times remain the property of the Promoter and subject to these Terms and Conditions. You may not re-sell or transfer a Ticket for commercial gain. If a Ticket is re-sold, transferred or advertised for profit or commercial gain or used for competitions, promotions or hospitality packages by anyone other than the Promoter, or an authorised sub-agent, it will be void and You will be refused entry to, or ejected from, the Venue without refund. Should You re-sell a Ticket to a third party you may find that the third party brings a legal claim against You for selling a Ticket which does not permit access to the Event. The Promoter reserves the right to cancel any Ticket booking which it reasonable believes to have been made with a view to re-sell Tickets or where the Ticket has been purchased using fraudulent means, including credit card fraud. 13. Tickets may be restricted to a maximum number per person per credit card or per household. These restrictions will be notified to you by the Ticket Agent and on the Event website before You make Your booking. The Promoter reserves the right to cancel Tickets purchased in excess of this number without prior notification to you of such cancellation. 14. This is at least in part an outdoor event and, as with all music events, performance is subject to the prevailing weather conditions. In the event that it is deemed unsafe for any scheduled events or activities to take place the Promoter may reschedule the Event or cancel it in its entirety. As per clause 8 above, if the Event is cancelled entirely, the Promoter shall refund the price of the Ticket to its face value. If part of the Event is cancelled, the Promoter may refund some or all of the purchase price of the Ticket in its absolute discretion, but shall be under no obligation to do so. 15. By attending the Event, You give Your express consent to Your actual or simulated likeness being included within any film, photograph, audio and/or audiovisual recording to be exploited in any and all media for any purpose at any time throughout the world, the copyright to which shall be owned by the Promoter or its contractors without payment or compensation. If You attend an Event with Your child aged under 18 years You give the foregoing Your express consent on their behalf. This includes filming by the police or security staff that may be carried out for the security of customers. 16. Due to legal artist performance rights and royalty obligations, You cannot bring any video or audio recording equipment or any camera which is over 35mm or with a detachable lens into the Venue. You will not be allowed to enter the Venue if You bring equipment that, at the discretion of Event security, infringes on these rules. 17. You may be asked by security staff to look in your bag. This is to ensure everyone’s safety. Please don’t be offended. We ask for your co-operation in this regard. 18. Please take care of your personal property at the Venue. We are sorry if your personal property is lost or damaged while at the Venue, but neither the Promoter nor the Venue can be held responsible. Lost property will be collected during the event and then taken to the local police station. 20. Entrants aged under 18 must be accompanied by an adult. No refunds will be given to ticket holders under 18 are not accompanied by an adult. 21. The Promoter reserves the right to remove persons from the Venue for any reason including but not limited to behaviour that is likely to cause damage, annoyance, or harm to others, health and safety reasons, if the Event staff believe that You are under the influence of drugs or alcohol, if You fail to produce proof of identity or age or if You refuse to comply with the Promoter’s security searches. 22. Please note that prolonged exposure to loud noise may cause damage to hearing. Please be aware that strobe lighting may be using during certain activities during the Event. 23. The Events operate licensed bars and You need to be over the age of 18 to purchase or bring in alcohol at the Events. Please be aware that if in the reasonable opinion the Event staff believe that you look 25 years or younger You may be asked to provide proof of identification and if You are unable to do so You will not be served alcohol. 24. You undertake to comply with any and all instructions given to you by the Promoter and/or all Venue staff at the Event. In particular, You are required to comply with all safety advice, site signage and ‘no smoking areas’. In accordance with Smoke-Free Regulations, the tented areas and other areas of the Event are designated ‘no smoking’ areas. Normal statutory rules and regulations apply and should be observed at the Event. Failure to do so may result in ejection from the Venue. 25. You shall not be permitted to bring into the Venue or display or distribute (whether for free or not) at the Event any sponsorship, promotional or marketing materials. 26. To the extent permitted by law, personal information provided by You to the Promoter will be used for all purposes reasonably connected with the operations of the Event and the Promoter including (but not limited to): providing You with details of forthcoming connected events, offers and services; providing You with updates as to the latest concessions or any changes thereto and information concerning competitions and other promotional activity; supplying You with the goods that You request or in which the Promoter reasonably believes You may be interested; conducting market research and establishing customer profiles; and transferring or disclosing the information provided to the Promoter’s professional advisors and such other parties as it considers necessary in the administration of its business. The Promoter will not use or disclose Your personal information other than as set out in these terms and conditions without Your prior consent. You will be given the opportunity to unsubscribe from such marketing communications when You place Your order and You can unsubscribe from any email communications You receive from the Promoter by following the unsubscribe link. 27. Access to each designated venue within the Venue is subject to capacity and the Promoter accepts no liability and will not offer any Ticket refunds if You are unable to attend a specific performance due to such venue being at maximum capacity. You may be required to queue so please arrive early to avoid disappointment. 28. The Promoter takes the needs of customers who are disable and who have other access requirements very seriously and actively encourages people of all abilities to attend the Event. Please contact the Promoter prior to the Event regarding Your access requirements. If you have not done so, the Promoter cannot guarantee that it will be able to cater to Your needs. You may not be admitted onto an accessibility viewing platform if You have not notified the Promoter of Your needs in advance, due to capacity limitations on such platforms. 30. You agree that the Promoter, its servants or agents will not be liable for any loss, injury or damage to any person (including Yourself) or property however caused (including by the Promoter or its servants or agents): (a) in any circumstances where there is no breach of a legal duty of care owed by the Promoter or any of its servants or agents; (b) in circumstances where such loss or damage is not a reasonably foreseeable result of any such breach (save for death or personal injury as a result of a breach of a legal duty of care owed by the Promoter, its servants or agents); and/or (c) to the extent that any increase in any loss or damage results from the breach by You of any of these Terms and Conditions. 31. For the purposes of these terms and conditions, “Force Majeure” means any cause beyond the Promoter’s control including, without limitation, an act of God, war, insurrection, riot, civil disturbances, acts of terrorism (or the threat thereof), fire, explosion, flood, royal mourning, national mourning, theft of essential equipment, malicious damage, strike, lock out, weather, third party injunction, national defence requirements and/or acts or regulations of national or local governments. The Promoter will not be liable to You for failure to perform any obligation under these terms and conditions to the extent that the failure is caused by Force Majeure. 32. You agree that the Promoter shall not be liable to You for any indirect or consequential costs, claims, actual or alleged losses howsoever arising out of or in connection with the Event and/or our obligations hereunder including, but not limited to, loss of profits, anticipated profits, savings, business or opportunity, or loss of publicity or loss of reputation, or opportunity to enhance reputation or loss of contract or other economic or consequential loss arising from the performance (or any failure to perform) these Terms and Conditions. 33. The Promoter will not have any liability to You whatsoever for loss or expenses incurred in connection with the Event or any cancellation of the Event, including, without limitation, costs of any personal travel, accommodation or hospitality arrangements made relating to the Event or the cancellation of the Event. 34. The Promoter shall not be liable for the acts or omissions of the operators of the Venues, for any personal injury suffered at a Venue (unless due to the act or omissions of the Promoter) or any loss, theft or damage to Your property at a Venue (unless due to the act or omissions of the Promoter). 35. To the fullest extent permissible in law, the Promoter shall be entitled to assign all and any of its rights and obligations under these Terms and Conditions, provided that Your rights are not adversely affected. 36. If any provision of the Terms and Conditions is found to be invalid or unenforceable by a court, the invalid or unenforceable provision shall be severed or amended in such a manner as to render the rest of the provision(s) and remainder of the Terms and Conditions valid or enforceable. 37. If the Promoter delays or fails to enforce any of the Terms and Conditions it shall not mean that the Promoter has waived its right to do so. 39. Nothing in the Terms and Conditions and no action taken by You or the Promoter under the Terms and Conditions shall create, or be deemed to create, a partnership, joint venture or establish a relationship of principal and agent or any other fiduciary relationship between You and the Promoter. 40. The Terms and Conditions constitute the entire agreement between the parties in connection with the subject matter of the Terms and Conditions and supersede any previous terms and conditions, agreement or arrangement between You and the Promoter relating to the subject matter of these terms and conditions. 41. Nothing in the Terms and Conditions shall purport to exclude liability for fraud or fraudulent misrepresentation. 44. Prohibited items for the festival site: Glass / Any spirits / Illegal drugs and new psychoactive substances / Anything that could reasonably considered for use as a weapon / Nitros Oxide and legal highs / Any kind of gas or fuel related cookers or stoves / Portable or disposable barbeques/ gas/paraffin lamps or any fire related cooking equipment / Glass of any kind, including perfume and cologne bottles, beer bottles, jars or drinking vessels / Portable laser equipment and pens Megaphones / Large sound systems / Air horns / Fireworks / Flares / Chinese lanterns / Spray cans / Animals with the exception of guide dogs / Generators, apart from those permanently built into campervans / Gas canisters or cylinders apart from those fitted in campervans / Unofficial tabards or hi vis jackets / Professional camera or video equipment / Any items confiscated will not be available for collection on exit from the festival and will be destroyed. Campfires are NOT permitted.